Influence Spotlights take a variety of forms. Below are selected projects that highlight various formats and goals for the Spotlight. We have also provided a price range for each piece to give you a sense of the overall pricing. The pricing is very broad as there are a variety of factors that determine final pricing, such as the level of animation in the video as well as the amount of work necessary to get graphic elements in place properly. You will always know the price of the video in advance. Remember, there is no live action video in any of these Spotlights. Consider how compelling this format will be to your target audiences. "I’m not one for frequent horn tooting, but I’ll make an exception because I’m so thrilled with how wonderfully Chris Templeton of Influence Internet put together this spotlight case study." 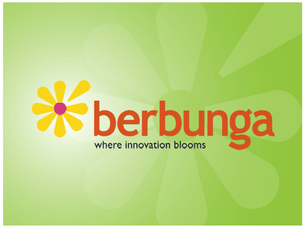 Overview - Video created to introduce visitors to the concept of Berbunga. Overview - Overview of the process of creating a brochure for their client. Overview - A video creatied to demonstrate the unique aspects of The Playful Garden as well as the passion of the owner and their customers.